The four Plaintiffs in this matter were brothers from Toowoomba known as ‘the Wagners’. Through Wagner Investments Pty Ltd, they had purchased a quarry at Grantham in November 1998 which they later sold on 8 December 2011. The Wagners also owned a large parcel of land (310 hectares) at Toowoomba Cecil Plains Road, Wellcamp and had constructed Toowoomba Airport on that land. On 10 January 2011, significant flooding occurred in the Lockyer Valley which resulted in 12 people, including young children being drowned. The second defendant was Alan Jones, a famous radio broadcaster. On radio station 2GB (which was the first defendant) on 28 October 2014, Jones claimed on his radio program that a ‘Grantham cover-up’ had been ‘orchestrated’. He then claimed that the Wagners were in partnership with entities for whose benefit the cover up was for, and asked whether the Wagners were ‘untouchable’. The following day he again spoke of a ‘Grantham cover up’, suggested that the reasons for the cover up included the Wagners, and said that those doing the covering up had a lot to hide. 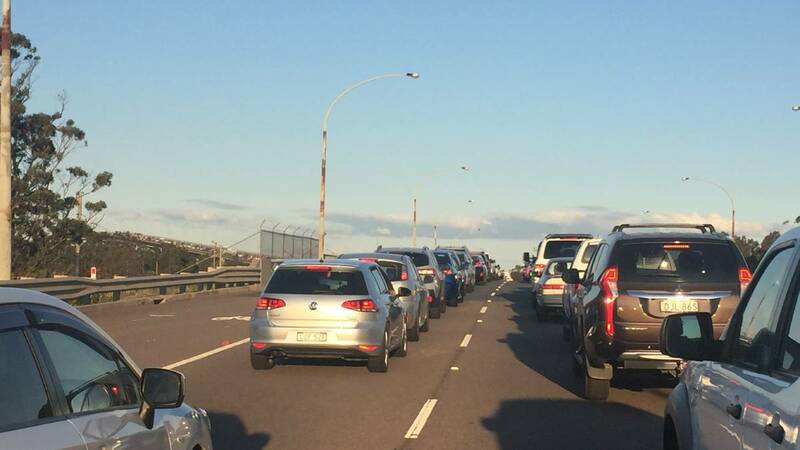 Two days later, Jones followed up on 4BC by asserting that the Wagners had ‘mates’ both in town hall and George Street, including Campbell Newman and Jeff Seeney, and implied that the construction of the Toowoomba airport was anything but legal. “You see, the Wagner Brothers are used to getting their own way, doing as they liked. Build an airport – no environmental impact statement, no health impact statement, no community impact statement, no water impact statement, nothing, just build it. No compensation for those living in hopeless proximity to the airport. “As soon as they knew they were in trouble though, they sold it”. “It never seemed to make any sense at all to me, the line that was being put by the official flood commissions that this was simply an act of God, that nothing could be done to avoid this because when you go there and look at the evidence on the ground, you talk to people, everything points to one thing and that is this massive wall of water two to two-and-a-half metres high that just came sweeping through the town with no warning whatsoever. “That had to be started by something and all the evidence points as you just said to the wall at the quarry that collapsed. It was like a break in a dam. The water gushes out with huge velocity and huge force and that was in the end what caused the damage, what kills people. 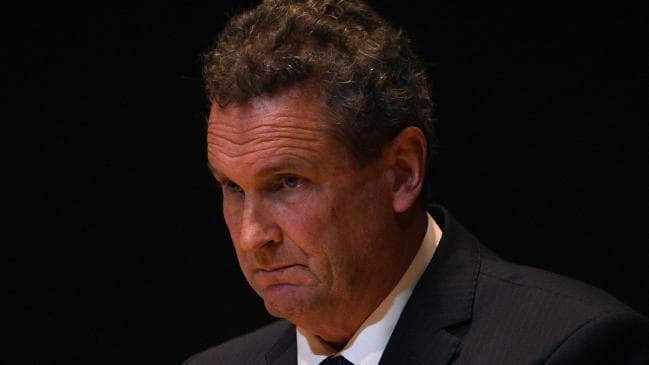 Jones and Cater then proceeded to make various criticisms of the Queensland Floods Inquiry and cast doubt on the findings of the hydrologist engaged by the Inquiry, Dr Phillip Jordan. Cater concluded the interview with Mr Jones by calling for a fresh inquiry. On 15 May 2015, Jones claimed on 2GB that a discussion about the inquiry into the Grantham floods had recently occurred in Rockhampton between John Wagner, Barnaby Joyce and Warren Truss, I which it was said “that we need to cover each other’s backs in this, you look after us and we’ll look after you”. Jones then claimed they were ‘running scared’. On 25 May 2015, Jones again claimed on 2GB there was a cover up and suggested it was for the benefit of ‘Wagner and Co’. He also suggested the Wagers were involved in ‘dirty deals’, that crimes had been committed, and that Heather Brown and her husband Dr David Pascoe had been burgled for pursuing the truth. On 26 May 2015, Jones suggested on 2GB that the approval for the Wagner’s airport involved the stealing of airspace from the Oakey air base which would eventually lead to its closure for their “own selfish, greedy purposes”. Jones also described the Wagers as ‘hypocrites of the year’ who were on “a little comedy routine to convince the poor old Darling Downs punter that they really care” and that “they’ve got as much hide as Jessie the elephant”. On 20 July 2015, Jones on 2GB referred to the Toowoomba-based company, Wagners, as “the darlings of the Coalition in Queensland and in Canberra” who built the airport in Toowoomba, remember, without seeking proper approvals.” With a particular vocal emphasis, he asserted the Wagers were “gifted Oakey air space”. Jones went on to suggest that over burden had created a massive wall along the quarry which had collapsed due to the weight of water, and that an inquiry was commencing that day “to end the cover up”. On 21 July 2015, Jones had an interview with Cater on 2GB concerning the first day of hearings of the Grantham Floods Inquiry. Jones once again referred to a ‘cover up’ and quoted Sault Holt QC saying that “the suggestion that the quarry wall, the Wagner quarry, didn’t have a substantial impact on the behaviour of the flood waters is something that at least on its face may not pass the sanity test”. On 22 July 2015 on 2GB, Jones was effusive in his praise of the inquiry’s’ witnesses and the Commissioner, whilst directing derogatory comments and tone for the Wagners, including references to Denis Wagner “covering his face” and the Wagners being “finished”. On 24 July 2015, Jones among other statements again asserted on 2GB that there was ‘a cover up at Grantham’ which was related to an alleged conversation in Rockhampton between John Wagner and Warren Truss. On 28 July 2015, Jones, in a sensationalist tone, suggested on 2GB that the Wagners had intimidated potential witnesses and referred to Wagner’s account of the wall being part of the landscape as “rubbish”. On 31 July 2015, Jones asserted on 2GB that Denis Wagner “was admitting everything he’d previously denied” and that the Wagners had dumped overburden along the creek “contrary to the conditions which allow them to mine the quarry” and that Wagners were at their very, very worst”. Jones also ridiculed Denis Wagner’s assertion that the flood had impacted on their business and asked of the Wagners “What kind of selfish, insensitive grubs are these people?”. On 4 August 2015, Jones provided commentary on 2GB about Denis Wagner’s evidence at the flood inquiry, claiming that “it wasn’t a pretty sight” and asserting that Wagner had now admitted on oath what he had previously denied. Jones asserted that there was footage which showed what happened at Grantham and again spoke of a cover up in which people were being protected. On 11 August 2015, Jones spoke with Amanda Gearing on 2GB about her submission to the flood inquiry and her view that the Wagners’ quarry exacerbated the flood, a view that Jones explicitly endorsed. On 20 August 2015, Jones discussed the hydrology report and evidence given by Dr John Macintosh to the Grantham Floods Inquiry on 2GB. Jones opined that “you put in a levee bank to solve one problem, and you can cause another”, and that Dr Macintosh’s report “didn’t pass the sanity test”, among other things. The Wagners sued Jones, 2GB, 4BC and Cater in respect of the above broadcasts. Once a plaintiff has established these three elements, the defendant must in order to successfully defend the claim establish one of the available defences under the Defamation Act 2005 (Qld). (3) A defence established under subsection (1) or (2) is defeated if, and only if, the plaintiff proves that the defamatory matter was not published honestly for the information of the public or for the advancement of education. 1. That the Wagners orchestrated with others a high-level cover-up of involvement in the deaths of people at Grantham, in order to avoid being held to account for those deaths, and to protect their financial interests. 2. That the Wagners had plenty to hide in connection with the deaths of people at Grantham and in concert with others were knowingly involved in a high-level cover-up to ensure that their culpability for those deaths was never investigated. 3. That the Wagners were involved in orchestrating a disgusting campaign of vilification, bullying and intimidation to prevent the truth coming out at the Queensland Floods Inquiry and prevent being held accountable for the deaths of 19 poor, marginalised people in the Grantham flood disaster. 4. That the Wagners caused the deaths of 13 people by illegally constructing a dam wall across Lockyer Creek which collapsed, releasing a tsunami-like wall of water that engulfed Grantham. 5. That the Wagners were knowingly involved in a massive cover-up of the cause of the Grantham flood disaster, in order to protect themselves from being held to account for the deaths of 13 people in the disaster. 6. That the Wagners callously refused to admit legal liability for the deaths of 12 people in the Grantham flood disaster, when a man-made wall at his quarry burst, causing a veritable tsunami that killed 12 people. 8. That the Wagners lied publicly in claiming that the embankment at his quarry was part of the natural landscape rather than being man-made, in order to evade his legal liability for the deaths of 12 people after the embankment collapsed. 9. That the Wagners were callous and selfish persons in that they built an airport without an environmental impact statement, a health impact statement, a community impact statement, a water impact statement, and without any compensation for people living in hopeless proximity to the airport. 10. That the Wagners in concert with the Bligh and Newman Governments and police, criminally conspired over a period of four years in a disgraceful and massive cover-up of the cause of the horrific and terrifying Grantham flood. 11. That the Wagners terrorised and vilified two ordinary people, Heather Brown and . David Pascoe, forcing them to change address and live in fear, because they threatened to expose the truth about their involvement in the horrific flooding of the town of Grantham and the deaths of a number of people, including a baby. Whilst Justice Flanagan determined that many of the imputations alleged by the Wagners were made out, some were not made out. Furthermore, with respect to the broadcast of 27 April 2015, Justice Flanagan held that it did not contain any defamatory imputations. The Wagner’s claim against Cater was dismissed as Justice Flanagan found that he did not expressed agreement nor conduce with Jones’ defamatory statements. Of the imputations concerning claims that the Wagners had constructed a dam wall which had exacerbated the floods and caused/were responsible for the deaths of 12/13 people, 2GB and Jones pleaded a defence of justification under section 25 of the Defamation Act. Justice Flanagan rejected the conclusions of the expert evidence led for the defendants at trial and determined that the defendants had failed to establish the substantial truth of these imputations. Of the imputations concerning claims that the Wagners had engaged in a cover up, 2GB and Jones again pleaded a defence of justification under section 25 of the Defamation Act. Justice Flanagan found Denis Wager to be a reliable and honest witness and determined that 2GB and Jones had failed to establish the substantial truth of these imputations. Similarly of the imputation concerning claims that the Wagners had engaged in bullying and intimidation, 2GB and Jones again pleaded a defence of justification under section 25 of the Defamation Act. Justice Flanagan accepted the evidence of John and determined that 2GB and Jones had failed to establish the substantial truth of this imputation. Of the imputations concerning claims that the Wagners had built an airport illegally or otherwise improperly, 2GB and Jones again pleaded a defence of justification under section 25 of the Defamation Act. Justice Flanagan once again determined that 2GB and Jones had failed to establish the substantial truth of these imputations. Of the imputations concerning claims that the Wagners were selfish and greedy, 2GB and Jones again pleaded a defence of justification under section 25 of the Defamation Act. Justice Flanagan once again determined that 2GB and Jones had failed to establish the substantial truth of these imputations. The defendants also sought to rely on the defence of fair report of proceedings of public concern under section 29 of the Defamation Act for 10 of the defamatory imputations, however Justice Flanagan held that they had failed to establish this defence with respect of any of the 10 defamatory imputations in question. 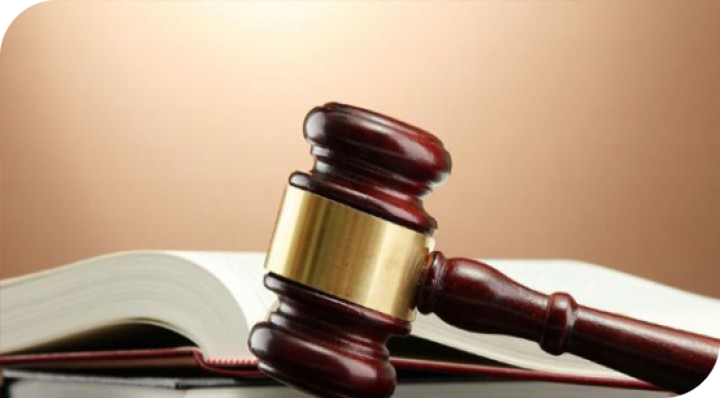 The defendants also sought to rely on the defence of failure to accept reasonable offer to make amends under section 18 of the Defamation Act. The offer in question was to apologise to the Wagners, pay them $50,000 each and pay their reasonable expenses. Justice Flanagan determined that the sum of $50,000 for each of the Wagners was ‘wholly inadequate’ and therefore this defence failed. As a result of the above findings, the amount of damages to be awarded to the Wagners was the remaining question which had to be determined. Justice Flanagan found that the publican of the defamatory matters was ‘very extensive’, based on the audience figures (which only included city listeners) and the evidence of the ‘grapevine effect’ resulting in the Wagners being regularly asked about the matters concerning the defamatory publications. Justice Flanagan also found that “The 80 imputations conveyed are, in my view, extremely serious and of the gravest kind”. Justice Flanagan also observed that the Wagners’ evidence concerning their hurt feelings, including humiliation and feelings of helplessness were not challenged by the defendants. Justice Flanagan determined that Jones had engaged in unjustifiable conduct and was motivated by a desire to damage the plaintiff’s reputation. In particular, Jones had acted with wilful blindness to the truth or falsity of what was broadcast, and the tone of the matters and their content were self-evidently vicious and spiteful. He had also failed to make any inquiry of the Wagners, to ascertain responses or to inform the Wagners. Jones’ conduct in repeating a number of defamatory assertions in the course of his evidence was also found to be unjustifiable. For these reasons, the awarding of aggravated damages was appropriate. 4. The claim against Cater was dismissed. 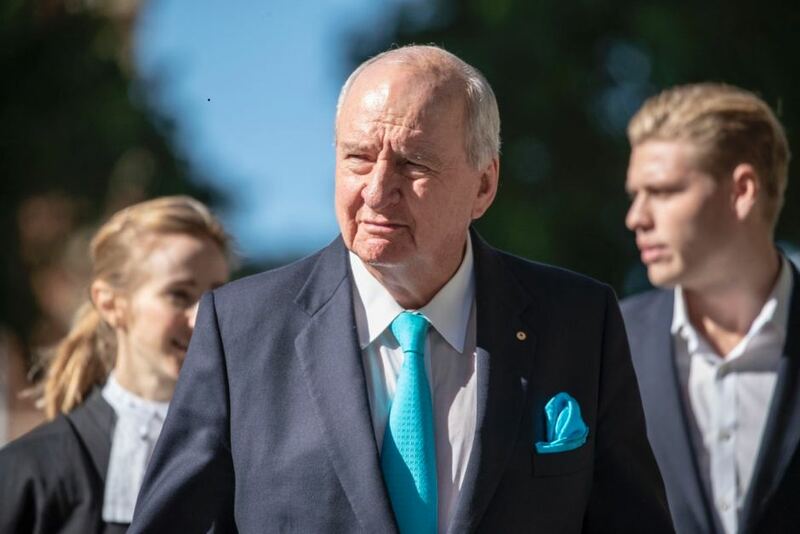 This matter arose out of Alan Jones’ apparent conviction that a wall on the Wagners’ quarry had caused the deaths of 12 people and that a high-level cover up had occurred to hide this (among other claims). The problem for Jones, 2GB and 4BC was that there was insufficient evidence to support these claims, and in fact two flood inquiries had found that the Wagners property had not exacerbated the flood at Grantham. Compounding this were the gratuitous and unfair attacks on the Wagners’ characters, as well Justice Flanagan’s findings that Jones was motivated by malice and had shown wilful blindness to the truth or falsity of what was broadcast. All of these factors contributed to a substantial sum in damages being awarded in favour of each of the Wagners. 2GB and 4BC were vicariously liable for Jones’ conduct whilst broadcasting on their radio stations. This case is a good example of how serious allegations should be made and presented as fact by publishers when there is little or no evidence to support them. Such conduct can destroy the reputation of others, as it did in this case. The Wagners had little other recourse than to sue for defamation in order to salvage their reputations. Because the allegations turned out to be untrue and/or unproven, liability was established.